Intertec produces protective enclosures for field-based process instrumentation and control equipment, using glass fibre reinforced polyester (GRP). This material offers remarkable advantages for oil and gas applications (including natural corrosion resistance, low weight, extended durability for long life applications, much higher thermal resistance than metal – making it easier to insulate against heat and cold – and benign environments for wireless communications). 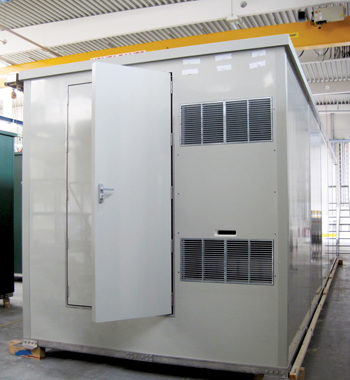 A broad range of enclosures, cabinets and shelters, plus a comprehensive selection of accessories including heating and cooling components, protect against freezing, condensation, solar radiation/UV, explosion, fire, corrosion, impact, etc. Intertec has designed and shipped over a million instrument protection enclosures since 1965, to protect equipment operating in the most demanding operating conditions on Earth – from Arctic regions to deserts to harsh coastal and offshore environments, the company said in its statement. Application-specific protection may be configured using free software tools. Or, Intertec will configure a turnkey solution for clients, using know-how that has evolved over more than 50 years, it added. Intertec manufactures in Neustadt (Germany), Scarnia (Canada), and Houston (USA), and also has an assembly and system building centre in Russia.